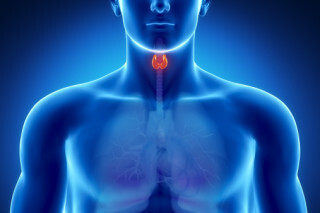 I have seen quite a few clients over the years who have underactive thyroids. I have seen even more who have had symptoms of low thyroid function but their standard blood tests have come back in range and they have been told their thyroid is functioning fine. Through these experiences and my more recent studies, it is only recently that I feel I have started to get an understanding of just how complex hormonal health can be. This is going to be one of many short posts on thyroid function where we go outside the box and consider what other systems (such as digestion, detoxification, immune) may impact the functioning of the thyroid gland. As I have written before in my blog post Hormonal Health , when thinking about hormonal health we need to consider more than just the levels of the hormone in the blood (i.e the production of the hormone). We also need to consider the person’s ability to tranpsort the hormone, the cellular sensitivity of the hormone, and, the person’s ability to detoxify/eliminate the hormone. This is a functional approach to hormone health taught by the Institute of Functional Medicine. So, today we are going to focus on the link between gut health and thyroid health. The first thing we need to appreciate is that an under active thyroid may impact gut health and poor gut health may impact thyroid health. This means if you have an under active thyroid you may need to consider supporting the gut, and if you have a history of poor gut health, and have symptoms of a thyroid imbalance, you may want to consider investigating thyroid function. There are many cases of people restoring healthy function of the thyroid by restoring healthy digestive function without actually directly supporting the thyroid. Let me say that a again differently – it is possible that some people may be able to restore thyroid health by restoring gut health. How does the thyroid effect the gut? Hypochloridria may also cause imbalance further down the digestive tract in the small and large intestine complicating matters further. As well as effecting the stomach, hypothyroidism may impair gall bladder function, causing the gallbladder to become distended and to contract sluggishly resulting in not enough bile being secreted. This may result in the liver’s detox pathways becoming sluggish and backed up. We mentioned earlier the need to consider the person’s ability to detoxify hormones – well an under active thyroid may reduce the ability of this to occur. Hypothyroidism has been shown to slow the transit time of food through the digestive tract resulting in constipation. Another viscious cycle. How does the gut effect the thyroid? So we have discussed a little about how thyroid function can impact gut function but how does the gut effect thyroid function? 20% of thyroid activity depends on healthy gut bacteria. Constipation from poor gut health makes it difficult for the body to eliminate unneeded hormones, so oestrogen for example accumulates. Excess estrogen binds to the thyroid-transport proteins so that thyroid hormones cannot get to the cells to do their jobs. This means that some people with thyroid imbalance may find great benefit in supporting digestive health. The research shows that poor digestive health can impact not only the production of the thyroid hormones but the transport, sensitivity and of course the elimination/detoxification of these hormones. It is important to note that chronic stress is a big problem in restoring optimal health in any system and unless you deal with that stress, you are significantly increasing the time it will take to restore health. Stress can contribute to dysbiosis, leaky gut and therefore a burdened liver and detox pathways. The body is an interconnected system and we simply cannot consider one system or one hormone without considering other aspects of function. Hormones are continually communicating with one another and are continually effecting other systems and structures in the body. Going ‘upstream’ to the source of the problem is the only way to restore optimal health – this is the objective of Functional Medicine.